Well, we don’t buy it! Y.E.S. Fitness is here to disprove these accepted, tired old stereotypes and to help individuals 40-plus have a healthier, happier and more vital lifestyle. Scientific studies prove that by optimizing one’s fitness level, one can actually reverse the effects of aging and avoid chronic medical conditions such as cardiovascular disease and diabetes. We know it’s true because we’ve personally coached individuals who have achieved amazing results in their health and lifestyle by increasing physical strength and endurance while improving aerobic capacity, flexibility and balance. NOW is the right time to get fit. By reversing the physical and emotional effects of aging we can reduce the onset of chronic illness and disease. We get you in your best shape, so you can say Y·E·S to living your best life. 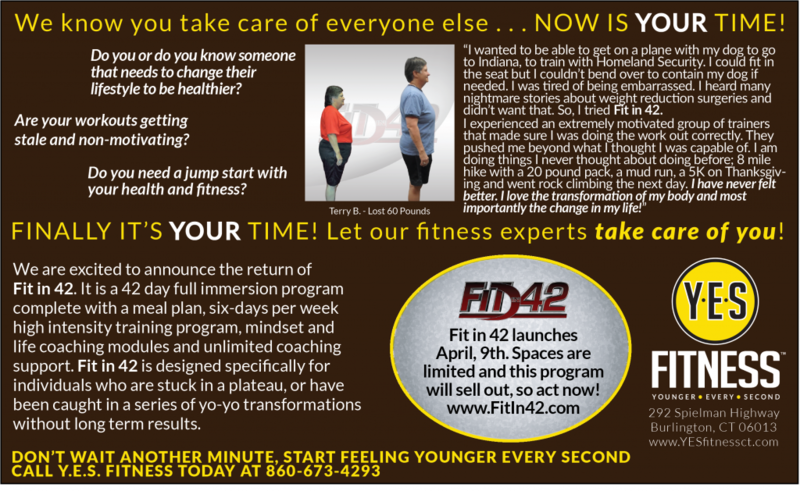 Call, email or stop by today to discuss how we can help you feel “Younger Every Second”!